Boston Mayor Martin J. Walsh. Boston Mayor Martin J. Walsh voiced his opposition once again Wednesday morning to lifting a state limit on the number of charter schools that can operate in Boston and other low-performing districts, arguing that the city’s school system cannot afford to have more state aid diverted to running additional charter schools. Walsh comments came one day after the state Democratic State Committee voted to oppose a ballot question that would allow up to 12 charter schools to be approved every year in low performing districts. 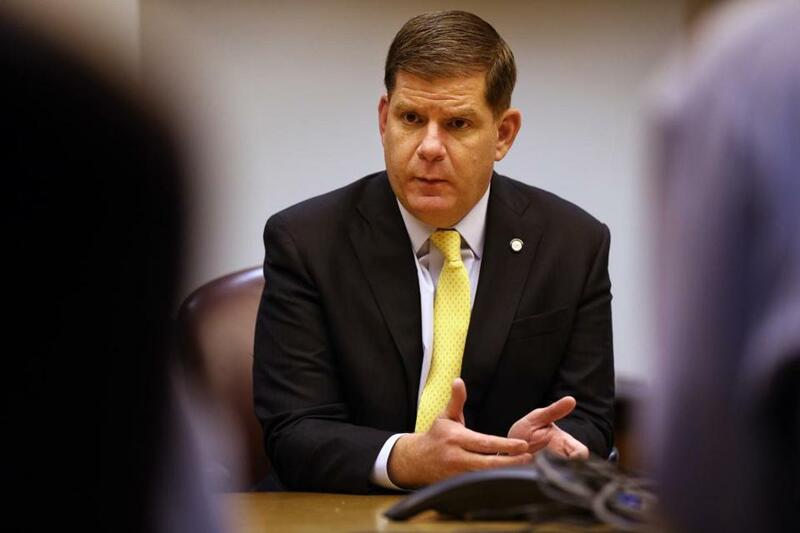 “I believe it’s no -- I’m strongly opposed to the ballot question, Question 2,” Walsh said, as he delivered remarks during a breakfast at the Boston Convention Center celebrating new and returning Boston Public School teachers and principals. Walsh said the charter school expansion will place an undue financial burden on the city. Every student who attends a charter school takes with him or her thousands of dollars in per-student state aid to the charter school. Walsh, an avowed charter school supporter, helped found Dorchester’s Neighborhood House Charter School. James Vaznis can be reached at jvaznis@globe.com. Follow him on Twitter @globevaznis.